We thought you would like a peek at some of the large collection of historical photos of General Cardenas taken over a span of some 75 years. We’ll put them on the website from time to time. The complete collection of the General’s digitized personal historical photos was gathered together for this website through the efforts of FASF Member, Gene Savino, a San Diego based Technology Consultant. Gene was kind enough to take time out of his busy work schedule to visit with the General so he could collect some of the photos you see below. We would like to thank both General Cardenas and Mr. Savino for providing these historical photos for our use. 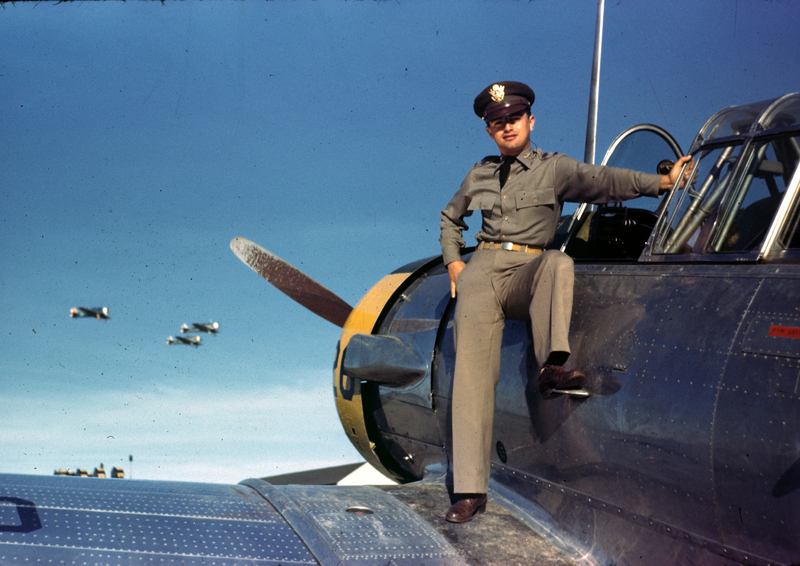 FASF Advisor, Lt. Cardenas, on wing of T-6 “Texan” Trainer in 1942 at Kelly AFB in San Antonio Texas. He had enlisted in the California Army National Guard as a Private in 1939, while a student at San Diego State University in California. As many of you already know, the General was actually born in Mérida, Yukatán, Mexico, in 1920!. When he was only five, his parents moved to San Diego, in the United States. Today, the General is retired and once again lives in the beloved town where he was raised and schooled. Gene was very impressed at meeting the General for the first time, remarking that it was hard to believe he was almost 96 years old – “He was very sharp, friendly and engaging – and appeared like a man half his age,” reported Savino. Remember: To see any of the photos shown here in higher resolution, just click on them. 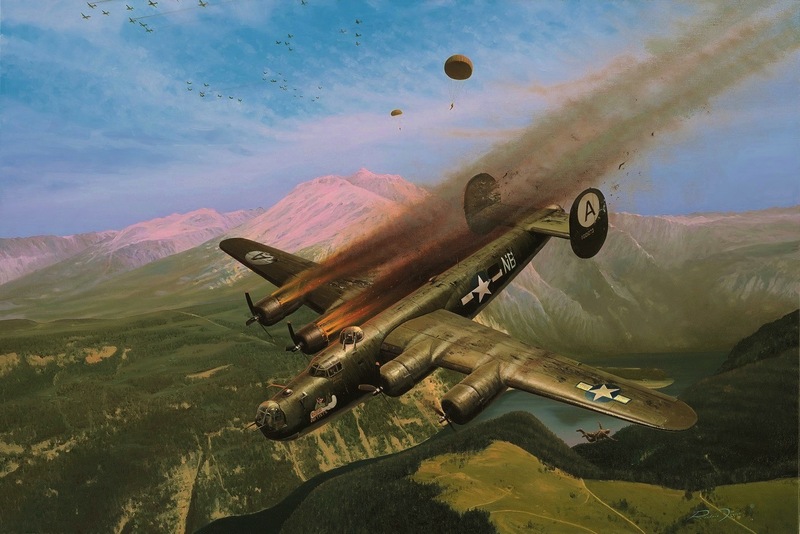 Painting depicting General Cardenas parachuting out of his crippled B-24 Liberator Bomber in 1944 over Germany. 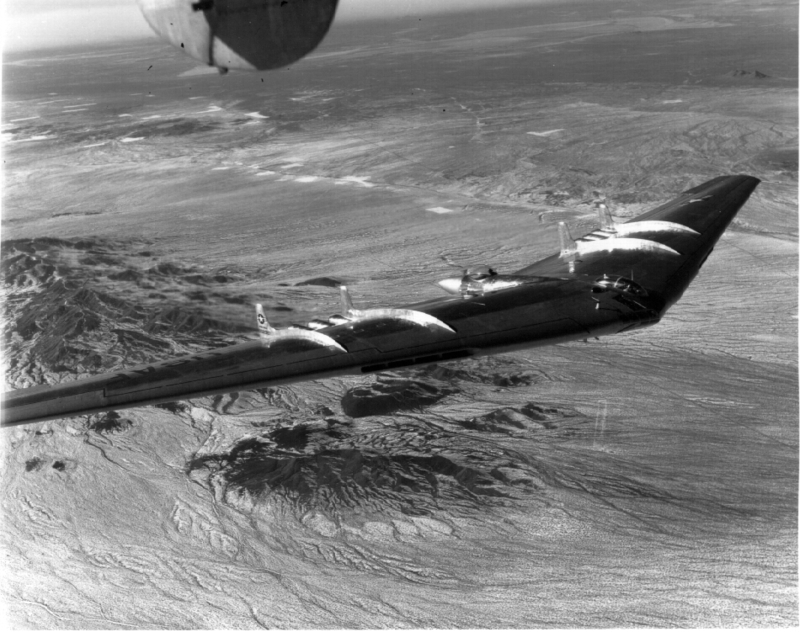 Rare yet famous “Flying Wing” experimental aircraft in which General Cardenas was a test pilot. The aircraft was abandoned when it proved too dangerous. It had killed several top caliber Test Pilots before its testing was stopped. 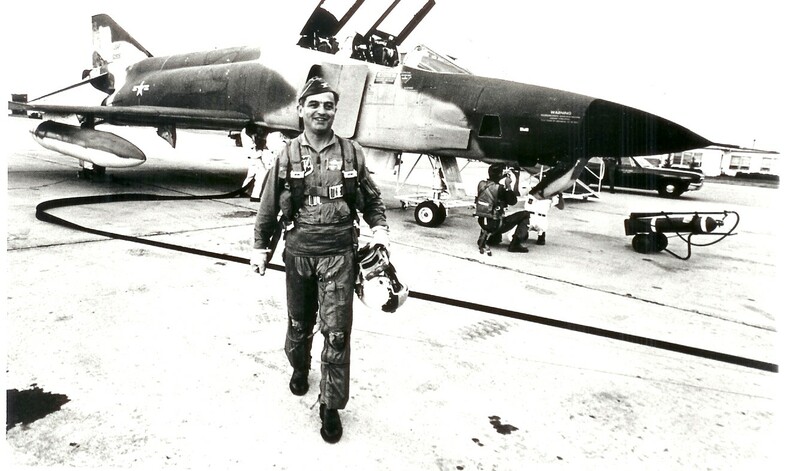 Then Colonel Cardenas leaving his USAF F4 “Phantom” Fighter in Vietnam. He was Commander of the 835th Division. 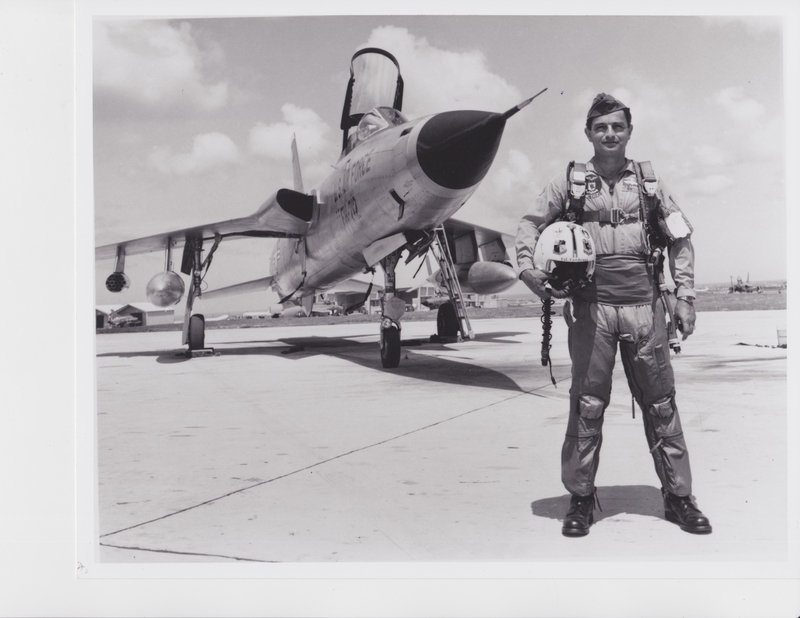 The General Standing proudly in front of his Air Force F-105 “Thunderchief” jet fighter. 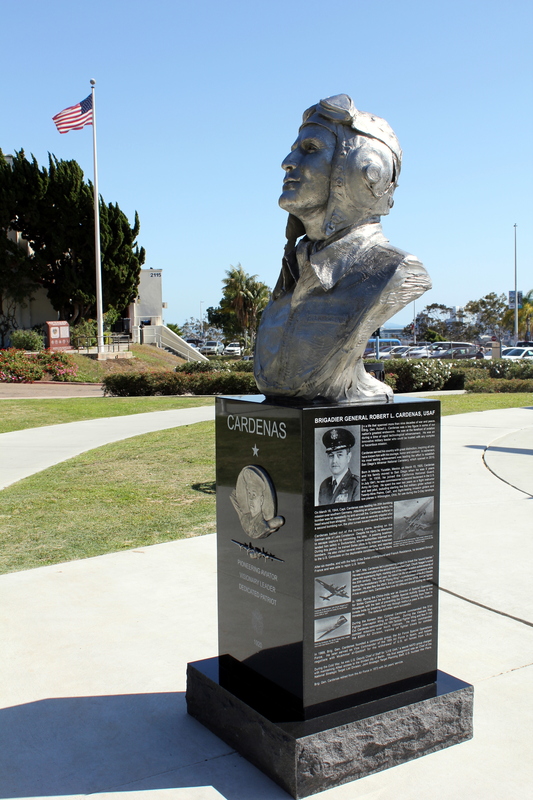 Statue bust of General Cardenas erected in his honor in his home town of San Diego by the grateful city. From time to time this FASF website, and also the Aerodrome, will feature stories about this extraordinary Air Force Senior Officer, who remains, today, a living legend as well as a brilliant oral historian of America’s – and of his own – role in the history of Word War II. The General would appear to have lived the classical but not often witnessed “American Dream.” He is a genuine hero for not just his exploits during both WWII and Vietnam, but also for his bravery in test piloting some radically new and highly dangerous aircraft during his long career as an Air Force Test Pilot. The General was an active member of the small team of elite pilots who were responsible for the first human flight to successully break the mysterious and once daunting Sound Barrier. You can read more about General Cardenas’ unusual career on our Board of Advisor’s Page right here. An interesting footnote to General Cardenas’ story is that he has some roots in New Mexico. He was actually promoted to full Colonel while at the University of New Mexico working for his engineering degree. This entry was posted in AVIATION NEWS on January 16, 2016 by FASFRIC.